Where can you stream Timeless? 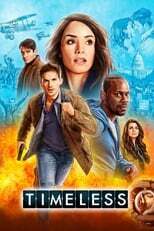 On 2016-10-03 Action & Adventure/Drama TV Series Timeless first aired on NBC. Written and created by Eric Kripke & Shawn Ryan, and produced by Sony Pictures Television & MiddKid Productions,, .